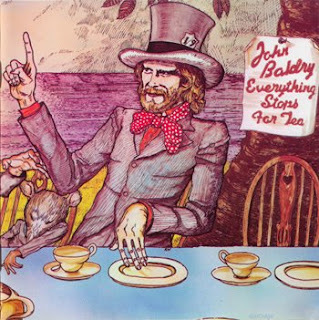 "Long John Baldry - Everything Stops For Tea was recorded in Jan/Feb 1972 in London, England. Side one was produced by Elton John and side two was produced by Rod Stewart. The record was released in Spring 1972 and Long John Baldry spent the rest of the year touring North America to promote the album. The artwork for the album was by Ron Wood based on the Alice in Wonderland story. I've just found out about Your blogg and it's just amazing. I'm all over the place.... It's like a kid in a candy store!!!! WOW!!!! Hi bosshoss welcome to the blog. Now calm down. Thanks for the share. Pity it's not individual FLAC files instead of one big one, but hey, can't have everything! Hi anonymous - you can use the "cue splitter" app listed on the right hand side of the front page to separate the flac image into individual flac files. Much easier though just to use the cue sheet.